Published in the Shortlist section of The Sydney Morning Herald, Friday Jan 29. Melbourne player Nick Charles is one of the more considered guitarists in Australia. Never flashy but always precise, his intricate playing has brought to Oz blues a sophistication and depth that’s seen him admired not just in this country, but around the world. Deeply inspired by the blues of old, Charles is also adept at all things folk and even country, as his latest record shows. His eighth Australian solo record, 12th worldwide solo release and his 20th overall, The River Flows is the mark of a musician with nothing left to prove, but still displaying a wont to explore. The addition of Pete Fidler on dobro and electric lap steel adds some exciting flavour, as does Paul Jones’ violin and Louis Gill’s electric and double bass – Charles has been, for the most part, a solo artist, and so to see him explore with the added pull of these fine accompanists, only adds to the album’s subtle power. The album centrepiece, the seven-minute ‘Penelope’, is an incredibly fluid piece of work, an instrumental that both warms the heart and also manages to inject a dose of melancholy to proceedings, a near perfect melding of country with the blues, showing that Charles is merely getting better with age. Published in issue #503 of The Big Issue. Published in the January/February 2016 issue of Rhythms. When Melbourne singer-songwriter Brendan Welch’s debut LP, The Gleaner, first appeared in 2009, it heralded the arrival of another strong songwriter and arranger. 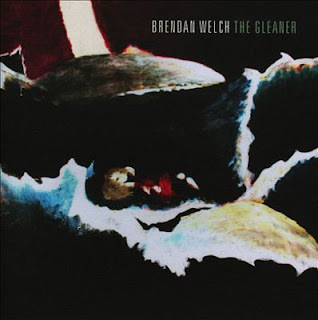 It followed two EPs – The Unbeat and That Ghost, the former of which scored a bit of Triple J play – but it was the full-length offering that really showcased Welch’s talent. Earlier this year, The Gleaner scored a re-release through the Ballarat-based Heart Of The Rat Records, on vinyl no less, a little gem rediscovered and pushed back into the zeitgeist, destined to rekindle the acclaim it garnered six years ago. The record certainly has a country bent to it, and within that framework is where Welch mainly works, covering a fair bit of ground. The lilting ‘Think I’d Always Thought (I’d Fall In Love With You)’ begins proceedings, his voice strong, which sets the scene for the rest of the album. 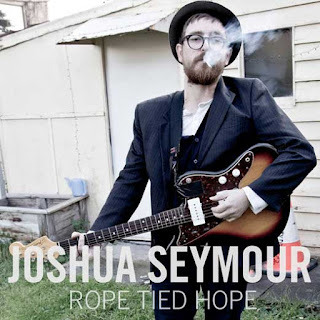 Tracks like ‘With A Steady Hand’ up the tempo, more of an outlaw country sort of thing, the momentum slowing with ‘Run While You Still Can’, its tinkling ivories recalling both some old saloon somewhere, as well as strains of the blues, before Welch’s voice comes in and swings it gently back toward Nashville. ‘If Only I Could Know You Then’ showcases some tasty guitar, lazy and hard-driving, and for me, it’s these moments that stand tall; that almost stoner-rock style of country music. Welch’s voice on this particular track brings to mind a clearer-voiced Neil Young. Joshua Seymour is, when not in solo mode, the guitar and mandolin player for Melbourne Americana outlaws Cherrywood. 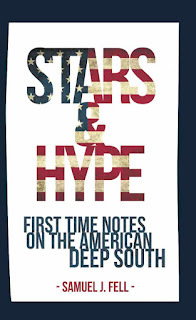 Here, he steps out on his own for the first time, a collection of earthy, real songs penned over his time tripping about the place, recorded in Argyle, Texas – the results are solid. 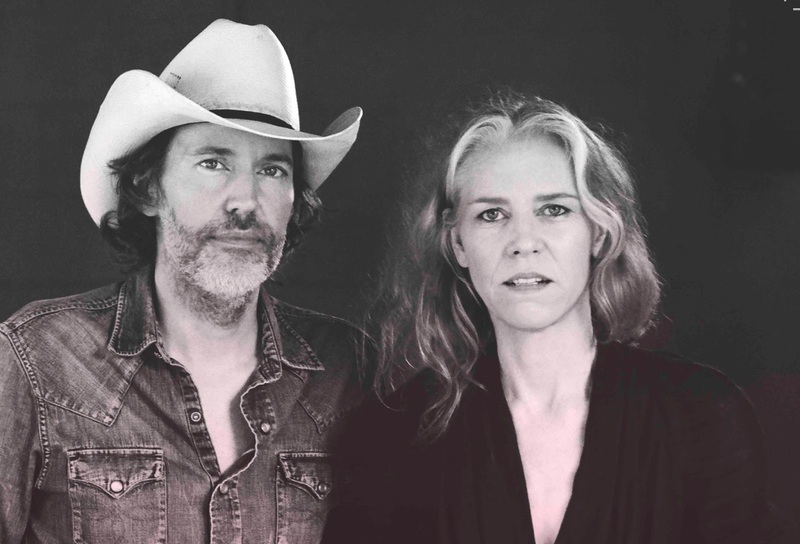 Ranging from introspective piano-led ballads (‘Carry It Home’), to carefree finger-snappers (‘Nothing To Me Now’, ‘Don’t Wait Up’), to red-dirt country numbers (‘Two Or Few’), it is at its heart an Americana album, but there’s a distinct Australian bent to it. 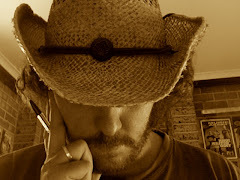 It shimmers slowly like heat haze, the stories are of experiences both true and fictional, told in a comfortable and honest way, recalling images of home, Australia, the other red-dirt place. 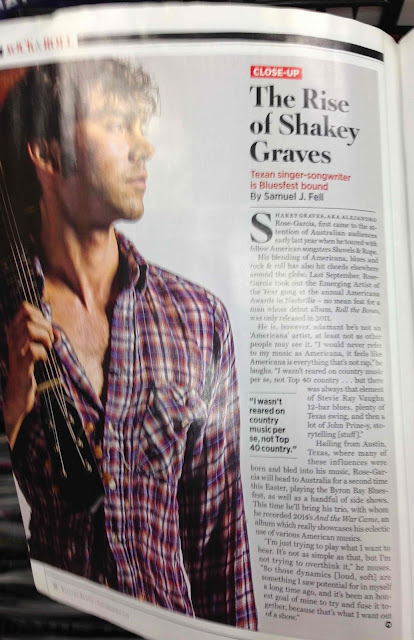 Shakey Graves, otherwise known as Alejandro Rose-Garcia, first came to the attention of Australian audiences touring over here early last year with fellow American songsters Shovels & Rope. 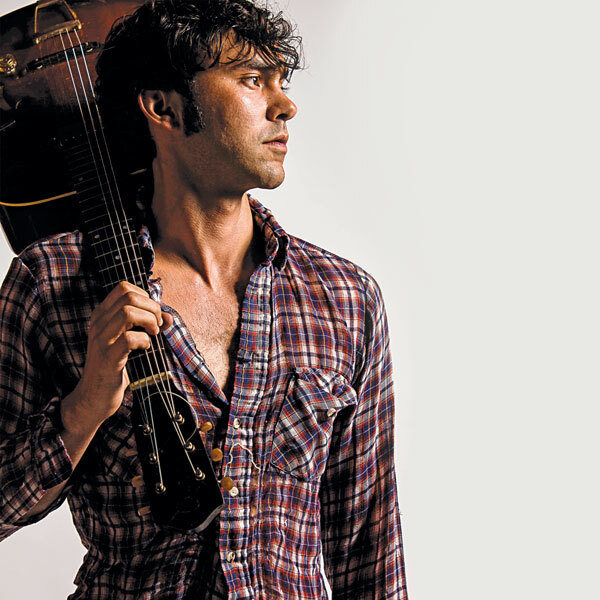 His blending of Americana, blues and rock ‘n’ roll has also hit chords elsewhere around the globe, so much so, Rose-Garcia, in September last year, took out the Best Emerging Artist gong at the annual Americana Awards in Nashville – no mean feat for one whose debut album, Roll The Bones, was only released in 2011. Hailing from Austin, Texas, where all these influences were born and bled into his music, Rose-Garcia will head to Australia for a second time in a couple of months, playing the Byron Bay Bluesfest, as well as a handful of side-shows. This time, he’ll bring with him his trio, as recorded on latest cut, 2014’s And The War Came, an album which really showcases his eclectic use of various American musics.